At Alex Bratic Dental Care we know all about the joys and trials of having a family, including an active infant. And sometimes putting that baby to bed, or keeping them calm, can be a real struggle, and a bottle might seem like a convenient answer to the problem. Unfortunately, putting a baby to bed with a bottle of milk or juice, or leaving the bottle with them for long periods of time, does more harm than good, because the calmer baby comes at the cost of the baby’s oral health. Prolonged and repetitive access to a baby bottle with anything sugary can lead to baby bottle tooth decay. Keeping your child’s teeth healthy is crucial so that their adult teeth will have a better chance of coming in straight and healthy. Let’s take a look at baby bottle tooth decay – it’s causes, symptoms, and how to avoid it. Baby bottle tooth decay is most commonly result of mothers putting babies to bed with a bottle full of sugary milk, juices, or sodas. The extended contact of milk or juice leaves a sticky film on the baby’s teeth all night long. It can also be caused by prolonged contact with a bottle during the day. The bacteria at the root of the decay can be passed to a baby through saliva by sharing spoons, testing foods before feeding them to your baby, or cleaning a baby’s pacifier in a caregiver’s mouth. These germs can begin the process that causes cavities even before primary teeth emerge, so it’s critical to avoid sharing saliva with your baby from the very beginning. 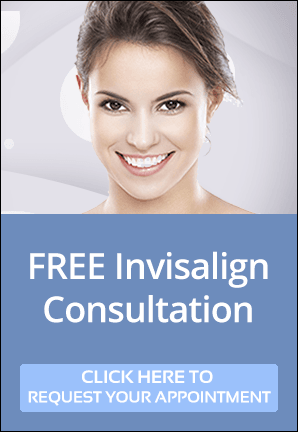 Why Worry If Temporary Teeth Fall Out? Because even though they are temporary, baby teeth are very important. Baby teeth maintain space in the jaw for the permanent teeth to follow. If a baby tooth is lost too early, nearby teeth may slide or tilt into the empty space. Then, when adult teeth attempt to come in, there may be insufficient room, causing crowding or misalignment. If baby teeth are healthy, a child is more likely to have healthy adult teeth as well. Children with decayed baby teeth are more likely to have decayed teeth as adults. Decayed and crooked teeth can also harm self-esteem. Tooth decay not only harms health, but it is also bad for your image. A child with tooth decay may feel bad about their smile and other children may judge them harshly. Wipe the baby’s gums with a clean, wet cloth before sleep and after each feeding. Use a children’s toothbrush with soft bristles and a pea-sized amount of toothpaste. 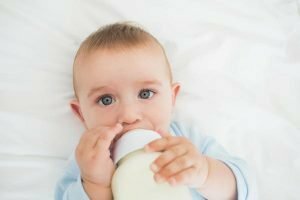 Do not let your child fall asleep while feeding and or fall asleep with a bottle that contains milk, formula, fruit juices, or any liquids containing sugar. If your child uses a pacifier, don’t dip it in sweet coatings or place it in your mouth before giving it to your child. A bottle should never be used to pacify a child. Sipping sugary liquids during the day can cause tooth decay. When your child’s second, third and more teeth come in (around 8 months old). Teach your child to drink from a cup by their first birthday. Brush your child’s teeth for them 2 times a day and for 2 minutes each time. Clean between their teeth as soon as they have two touching teeth. If your baby is showing signs of tooth decay, come see Alex Bratic Dental Care for a dental check up and exam! We’ll evaluate the extent of the decay, deal with cavities, and come up with a plan to avoid damage in the future. And the earlier your kids visit us, the more comfortable they’ll be when it comes time for them to regularly sit in our dental chairs!